The most important decision in your entire plastic surgery journey is choosing the right surgeon. Here’s a guide to help you know what to look for in a good plastic surgeon. In the United States physicians are licensed to practice medicine by state licensing boards. Once licensed, there are no federal laws that expressly define what procedures a physician can and cannot perform. In other words, a physician not trained to perform plastic surgery could claim to be a specialist in cosmetic plastic surgery and perform procedures such as liposuction, breast augmentation and tummy tuck, which they are not qualified. Hard to believe but unfortunately this does happen more and more frequently. This is particularly common in medical spas where often the business of making money is put well before safety. There have been encouraging steps recently with unqualified doctors having their licenses revoked or even serving jail time. There are a number of other boarding organizations that include “facial” “aesthetic” or “cosmetic” in the title. A particularly notable offender is the American Board of Cosmetic Surgery. These “boards” are not recognized by the ABMS and do not have the same training requirements. On their websites some of these boards state that they are in some way a sub-specialty board for plastic surgeons who specialize in cosmetic surgery. Do not be fooled. The training and requirements of these boards is in no way comparable to that of a plastic surgeon. The requirements are usually as simple as filling out an application and paying the application fee. There is only ONE board for plastic surgeons, the American Board of Plastic Surgery. To verify a physician’s board certification status, contact the American Board of Plastic Surgery at (215) 587-9322 or www.abplsurg.org. You may also contact the American Board of Medical Specialties at 1 (800) 776-2378 or www.abms.org. Not only is Dr. Concannon board certified by the American Board of Plastic Surgery, but he has been an invited Oral Board Guest Examiner since 2002. Many cosmetic procedures are performed in clinic operating rooms as this offers the patient a significant reduction in cost. This is a safe and effective practice so long as the safety of the patient is not compromised in the process. The American Society of Plastic Surgeons and the American Society for Aesthetic Plastic Surgery require that all plastic surgery performed under anesthesia other than minor local anesthesia meet specific criteria. The rate of serious complications in accredited facilities is extremely low and is comparable to the risk in a freestanding surgical center or hospital outpatient facility. We recommend that you have your surgery in a hospital-based operating facility or in an office-based surgery center that has one of the three following accreditations: AAAASF, JACHO, or AAAHC. Accreditation by one of these groups assures you that their standards of care are being set and scrutinized by a third party. At Concannon Plastic Surgery, our operating room is AAAASF accredited. That means that we adhere to high standards. Our facility is inspected on a regular basis and we fulfill important criteria for safety, equipment, facility, staff, and surgeon. Choose a surgeon whom is confident, likable and ethical. The relationship between you and your plastic surgeon will be a long lasting one. The process is much more enjoyable if you enjoy the surgeon and their staff. You should never leave a consultation feeling pressured, or that you are being talked into a procedure you are not interested in. Additionally, ask your surgeon beforehand if there are any charges for revisions or treatment of complications. Dr. Concannon serves the Mid-Missouri area and would love to have the opportunity to meet, and hopefully impress you enough to choose him to be your plastic surgeon. Who, what, when, where, how? It’s likely if you’re thinking about cosmetic surgery you want the answers to all these basic questions. If you’re looking at the world of cosmetic surgery, you want to be a savvy shopper. It’s not always easy to figure out who is who and what is what. Depending upon your cosmetic surgery goals, there may be a variety of surgical options. For example, there are different types of tummy tucks, facelifts, and breast lifts. When you meet with a surgeon, talk to him about your specific goals and concerns. Then he or she can recommend the procedure and technique best suited to you. Dr. Concannon has extensive training in plastic surgery and is highly respected for his surgical quality. In fact, he spent a great deal of his career training future plastic surgeons, and still does that today. 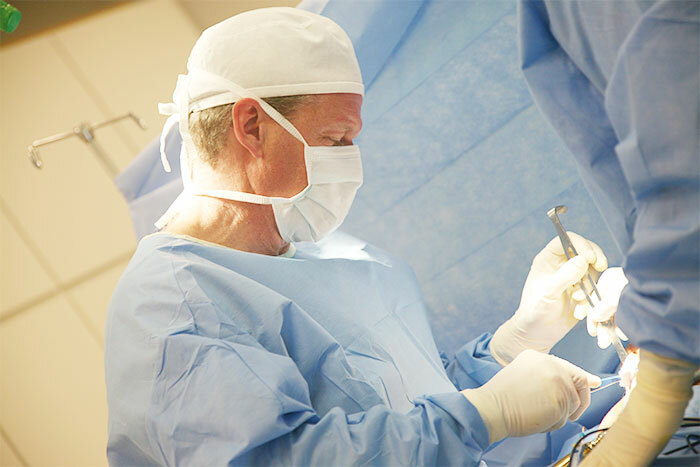 He will discuss these and other aspects of your surgery when you meet personally in consultation. Obviously, you want to have good rapport with the surgeon who will be doing your surgery. So when you choose a surgeon, you also choose his or her office. That means the staff, the facility, their reputation, their longevity in the community, and their commitment to patient care and safety. Look for signs of a team of dedicated professionals wherever you go. At Concannon Plastic Surgery, Dr. Concannon is supported by an equally dedicated and caring staff. Serving the community of Columbia and Mid Missouri for over 15 years, Concannon Plastic Surgery is a local leader in patient care and communication. As you consider surgeons, be sure that you understand how the practice will care for you and communicate with you before and after surgery. Will there be a Registered Nurse as well as the doctor involved in your care? At Concannon Plastic Surgery, we have highly-specialized systems for educating and caring for our patients. Several weeks before your surgery you will come in for your “pre-op” education visit. You will meet with a nurse who will go through a personalized booklet of materials designed to help you prepare for surgery and recovery. Blood work will be done if neccessary, and your health history will be reviewed carefully. Our nurses continue to be in touch with you prior to surgery, and after surgery you will also receive follow-up calls at home. After your surgery you will even have Dr. Concannon’s personal cell phone number, so you can reach him at any time if you have any questions or concerns. How many doctors give you that much attention and care after the surgery? Surgeons and doctors typically have a hospital affiliation—meaning that they have “hospital privileges” at a local accredited hospital. Make sure any doctor you are considering for a surgical procedure has “hospital privileges” in that particular procedure at a local accredited hospital. Dr. Concannon is a member in good standing at Boone Hospital, The University Hospital and Clinics, Womens and Childrens Hospital in Columbia; He is also the medical director of the Institute for Outpatient Surgery, an outpatient surgical facility in Columbia. He has privileges to perform the procedures he does in our office-based operating room at these hospitasl as well. Who is with you in surgery and immediately after is very important. At Concannon Plastic Surgery, when you have surgery in our facility (under IV sedation), the following people will be in the operating room (OR) with you: Dr. Concannon, as well as a Registered Nurse (RN) who is at your side throughout the entire procedure, administering any medications that you need and ensuring that you are comfortable. In addtion, another Registered Nurse will be ‘scrubbed in’ with Dr. Concannon, assisting him with the procedure. In our recovery room, an RN will care for you while you are recovering. All the registered nurses who work in our OR are certified in Advanced Cardiac Life Support (ACLS certified). 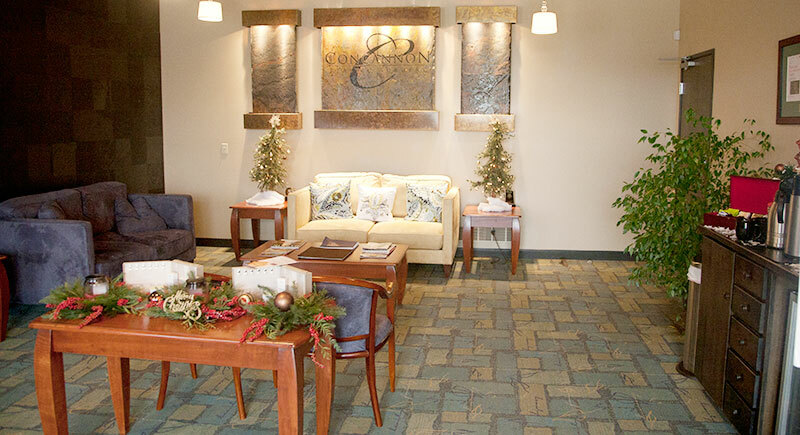 We consider this level of care the “gold standard,” and we believe it is a standard that you should seek.